Instadebit is one of the fastest ways to make online payments using your bank account and their secure payment platform. In allowing you to deposit cash almost instantly, it is a very common deposit method on online casinos. Like eChecks, Instadebit is a third party financial service that enables you to make quick online payments using your primary bank account; and it’s even easier! 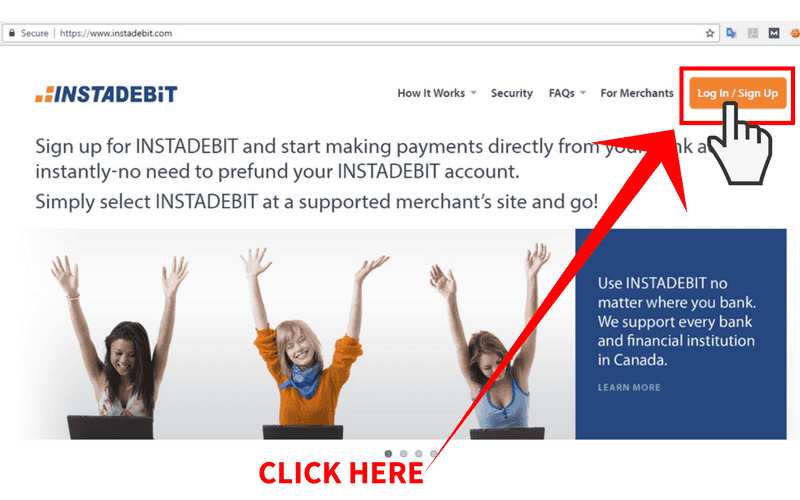 One important fact about Instadebit is that it is not and e-wallet. Think of it as an extension to your regular debit account. Basically, all you do is set up and account and enter your bank details, then you’re ready to make instant payments at any online site that accepts Instadebit transactions! 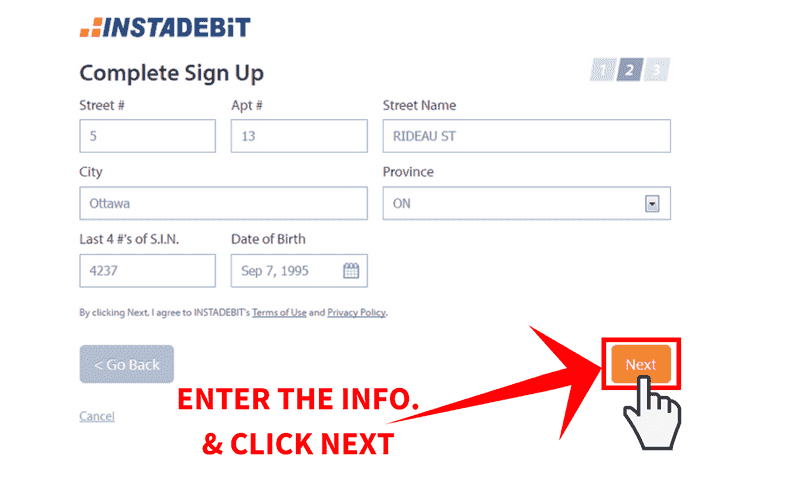 One important thing to keep in mind is that Instadebit requires you to have an account at a Canadian financial institution. And while this method is exclusively for Canadian residents, this method supports both Canadian and US dollar currencies. Canadian players, unlike American ones, can play at most reputable online casinos thanks to Canada’s relatively relaxed gambling laws. To find out where you can use Instadebit to claim some fantastic casino bonuses and play slots for real money, you can check out the list we’ve compiled for you below! What Are the Benefits of Instadebit Casinos? Instadebit casinos offer Canadian betters a quick and easy way to directly transfer funds from their primary bank account to their casino account. While there is no real benefit for non-Canadian players who cannot use this payment method, for Canadians it’s a sign that the casino is legal and can legitimately pay and accept Canadian players. Does Instadebit Charge Any Fees? 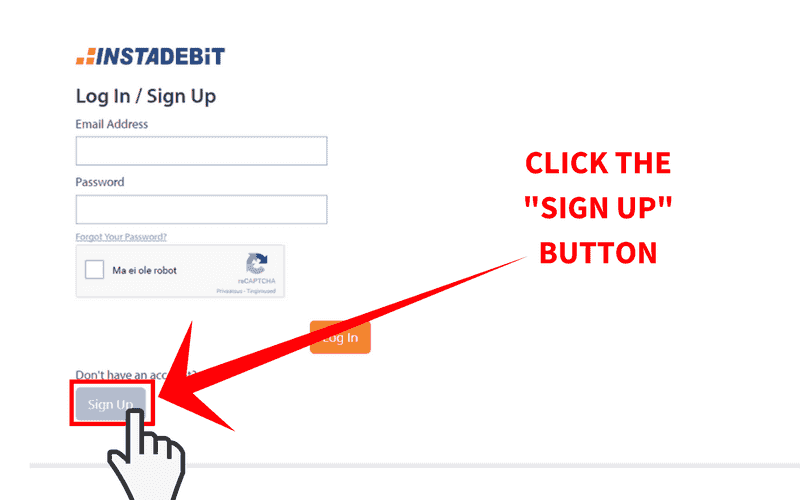 Creating an Instadebit account is completely free, and the only fees users must pay are a small transaction fee and a free for making any refunds from the Instadebit account to your primary bank account. If the merchant, in this case the online casino, gives you a refund then there will be no charge to your account! However, you would need to refund your wins that from the Instadebit to your regular account to cash them out. Instadebit also works from your phone or tablet, the only catch is that your chosen online casino needs to have a fully functioning mobile platform for this to work. In most cases, the casinos listed on this page will allow you to deposit cash from anywhere through a mobile casino on your browser or downloadable application. 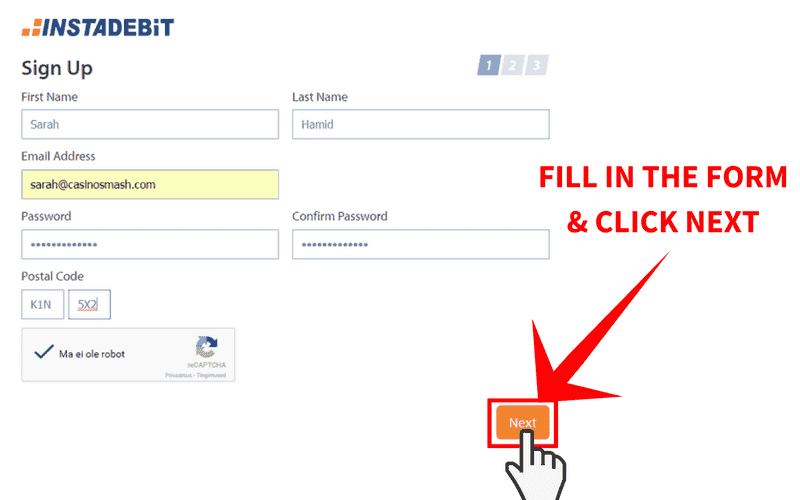 Step 1: Go to Instadebit's Homepage & Click "Log In"
Step 2: On the Log In Page Click "Create an Account"